A digital multimeter is used to measure voltage, current and resistance and can be used to measure electrical continuity in a circuit. The digital display on the multimeter shows the numerical measured value of voltage, current or resistance. A multimeter should be calibrated or adjusted to a known zero-value prior to use for accurate readings. 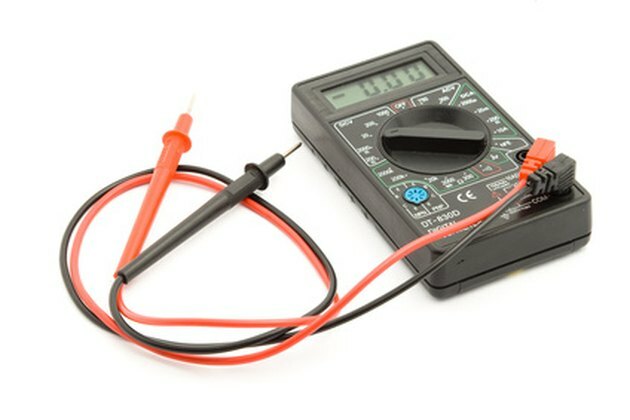 Set the multimeter to the highest resistance range by turning the dial to the highest "ohm" setting. Touch the test probes of your digital multimeter together. The digital display of the multimeter should read "0 ohms." Press the calibration knob until the display reads "0" on the digital multimeter if you don't see "0 ohms" initially.